Composite resins are plastic mixtures that are clinically used in a variety of ways to restore or repair portions of misshapen or impacted teeth. 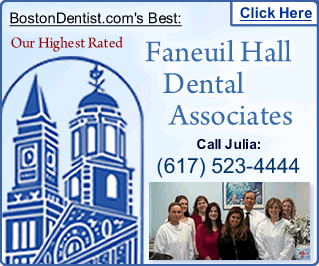 The most common application of composite fillings is to fill in the tooth cavities (esp. molars) that have tooth decay. This procedure is done mainly on children, because their knack for sweets most of the time leads to tooth decay, causing all forms of bacteria to disintegrate the enamel and eventually the pulp of the tooth. The durability of the composite resin is not expected to last a lifetime, depending on the tolerance and the method used to seal the crater of the cavity. More recently, new synthetic resins have been created that are expected to last for decades. The main materials used on composite fillings are silica, porcelain/ceramic particles, resin and quartz crystals. These materials make up for the natural, nearly invisible finish of the composite inlay, a far better (and now preferred alternative) to the once toxic and unsightly silver amalgam using in fillings. The resin used naturally bond with the tooth, leaving an almost indistinct finish. Composite fillings were once used to reinforce the front teeth from breakage due to eating habits. But as time passed by and newer polymers have been developed, the composition of the resin has been stronger than ever, paving the way to not only utilize the fillings for front, but also for the back teeth (molars). This has significantly helped children and adults for any onset of tartar and decay, both of which are common, even on regularly brushed teeth. Tooth fractures and misshapen teeth have been the cause of frequent pain. Composite fillings prevent this from happening by reinforcing and conditioning the enamel of the tooth. Amalgam fillings are easier to install than silver amalgam fillings, and don’t require as much preparation as the latter. Silver amalgam fillings require an undercut (removal of vital tooth portions); composite fillings do not. Plus, the drying and setting process of composite fillings is estimated to be only 40 seconds after shining an intense light on the material. Most schools offer students silver amalgam fillings for free, because of the very low cost of the material, as opposed to composite fillings, whose materials are quite costly and therefore, at the most, only offered by private dental clinics. Depending on the severity of the decayed tooth, one is given the option by the dentist to choose between composite and amalgam fillings. 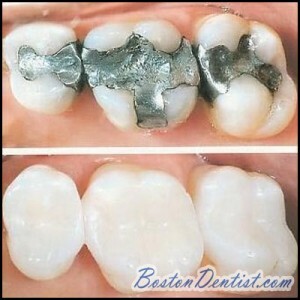 Amalgam fillings are prone to breakage, and therefore become costlier as succeeding refills pass by. The degree of breakage of composite fillings is only minimal (but still dependent on the application by the dentist). Composite fillings are well-known for the aesthetics they produce, but they should also be regarded for the durability and longetivity that they are truly acclaimed for. A lot of people only had composite fillings done once or twice in their lifetime, because rapidly improving degree of strength the bonded resin produces. Another upside to the use of dental fillings is that they can also be color-tinted to suit the preferences of the patient. To rid yourself of potentially fractured teeth, especially molars, try consulting your dentist on what teeth need composite fillings. It is also suggested that you immediately go to your local dentist if your teeth get fractured or chip off, so immediate remedy can be applied.